Before I get down to the actual DIY bit of my Overhead Camera Frame I have to do some tests to establish dimensions for the frame (appropriate minimum height from table) as well as getting some ideas about camera settings and lighting. Excuse the shoddy snap, hopefully you can make out what's going on here. I've just tipped up my video tripod so that I get a top-down perspective with my camera and set up various types of lighting to try out. One lesson learned straight away even at this early stage was the benefits of having some form of field or preview monitor so you can keep an eye on camera settings, focusing and framing. Even if my Fuji XT-2 had a flip and swivel screen it wouldn't be entirely suitable for monitoring tabletop tutorial filming and so a separate preview monitor is recommended. 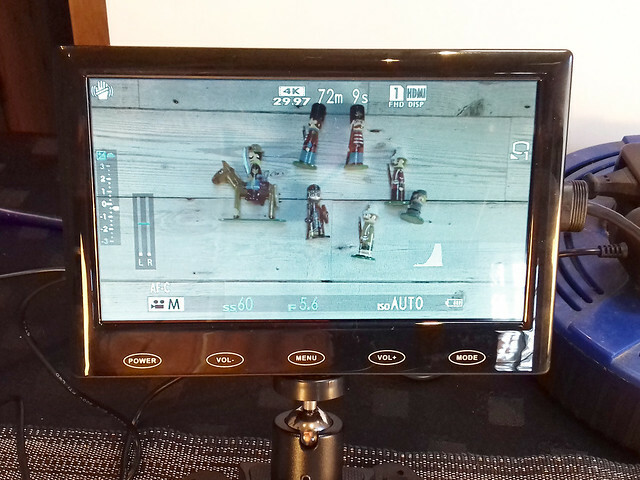 A proper video feed monitor - with all it's bells and whistles - is probably overkill in this situation (although good to have if you can afford one) so I bought a very cheap (£30) 7 inch LCD HDMI monitor for the job. The addition of a preview monitor means I can sit down - as I would be in a filmed tutorial situation - and work with my tabletop objects with the monitor still in my line of sight, but just out of frame. 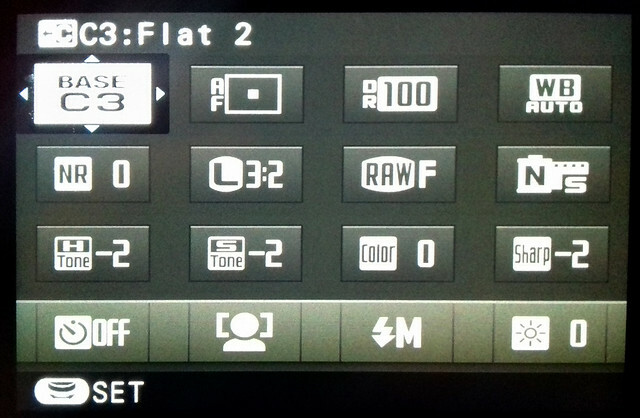 This little screen still shows me my cameras main settings - including histogram - and is just sharp enough so I can check focusing. The downside is that colour rendition isn't accurate and it doesn't have the focusing and hand other assist features that a real field monitor would. But, for £30 I'm not complaining. Despite the messy lashed together set-up, I had a very productive session and made lots of notes. My dinning room 'video lab' also had the added benefit of being right next to our kitchen so I was able to replenish my mug of tea without going to far! 1. Camera Height: The first issue I got to grips with was the camera height. I decided to stick with my Fujinon 18-55mm zoom to give me some flexibility in framing shots and testing relative proximities between subject and lens. In the end I settled on my camera being about 1.5 feet (44cm) from the table - to lens - and my zoom set around 20mm. 2. Focus Setting: Because I will be shooting tabletop tutorials and, so, move from wide shots to closeups quickly I decided to set my camera to continuous auto-focus with the point of focus centre biased using the zone AF mode. Yes, there will be a little focus searching when I move from table distance to 'close-up' (about 7 inches from the lens), but this is the least 'fussy' way of doing things to begin with. 3. Lighting: You can never have enough light, and although I think my test proves this point it also proved that it's a particular sort of light that I am short of. Because my models are glossed - with varnish - strong harsh lighting is not helpful as it produces very aggressive reflections. I, therefore, need defused lighting so as not to create too many bright highlights on my subjects and by doing so lose detail. My current problem is that I only have one LED lamp which can generate enough illumination when defused - my Neewer 304 LED lamp (and I had that turned up to max) - so I will have to buy another so I have the level of control that I am after. I used a umbrella to create the soft light I wanted, but this is also a problem as this is far too large and cumbersome to be suitable for my overhead table frame concept. I may, therefore, have to make some sort of compact soft box and try that out (more experiments)! 4. Camera settings: Funnily enough, my shooting settings were perhaps the least of my problems as the XT-2 is such a great camera that it didn't take long to settle on some working settings (although that isn't to say they won't be modified as I gain more experience). The one thing that did have me scratching my head was what video recording mode to shoot in; FHD (1080) or UHD (4K)? And, also, what flavour of either of these resolutions - 24fps, 30fps or 60fps. Although I am aiming at 1080HD output for YouTube, I did - initially - fancy FHD 60fps for reasons of detail, but then decided upon 4K and downscaling to FHD so I have the flexibility to crop, zoom and animate within my editing software. in the shadow areas...More light needed! Anyway, this was all very sloppy and a lot of 'guesstimation', but it got me a starting point. I can refine my technique with practice. 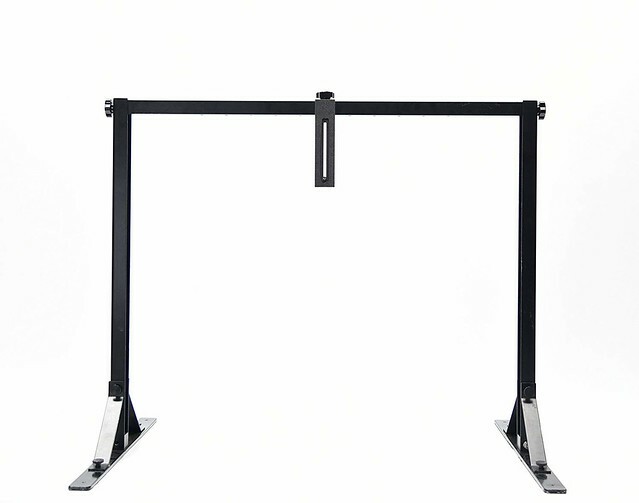 Most importantly, I have the data I need to start making my overhead camera frame. 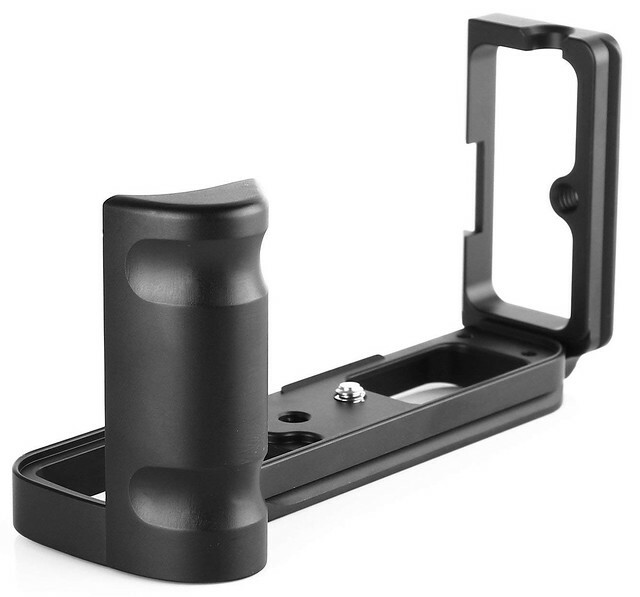 Fotga QR-120 Clamp Adapter For Quick Release Arca-Swiss plate. So what? Well, the Area-Swiss system now being integral to my camera - thanks to the rail at the bottom of my camera cage - I no longer have to have a mount plate screwed to the bottom of my camera. 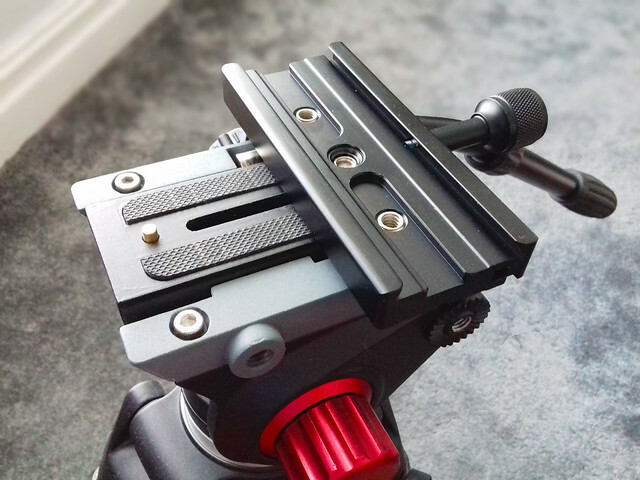 I simply slide my camera into the Area-Swiss 'clamp' which is attached to my tripod mount. 3rd party 'L' grip for Fuji XT-2 camera with integral Area-Swiss rail. This means I can very quickly whip my camera in and out and never have to worry if I left the tripod mounting plate on the desk at home or in the pocket of my other jacket. 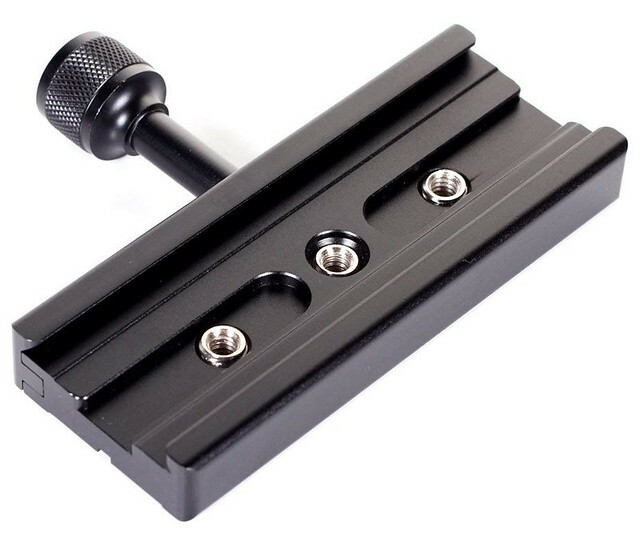 I also no longer have a very long video tripod mounting plate sticking out from under my camera. I bought the camera's 'L' grip a while back to give my big hands a little extra purchase on the XT-2, the integral Arca-Swiss rail on the bottom was just an added bonus. After a long hiatus - where I had to do some serious rethinking about the whole idea of my filming activities due to changes in work and life changes - I've concluded that my videography interests will have to be relegated to a 'hobby' rather than my original intention of exploring a small business. While I had originally had some ambitious ideas for film projects, I've had to scale these down to suit my new work schedule. But one thing that struck me is that I was missing a trick, somewhat, in that I had overlooked a interesting video opportunity on my 'own doorstep'. I am a pretty active craftsperson and modeller and I already blog a lot about these activities. 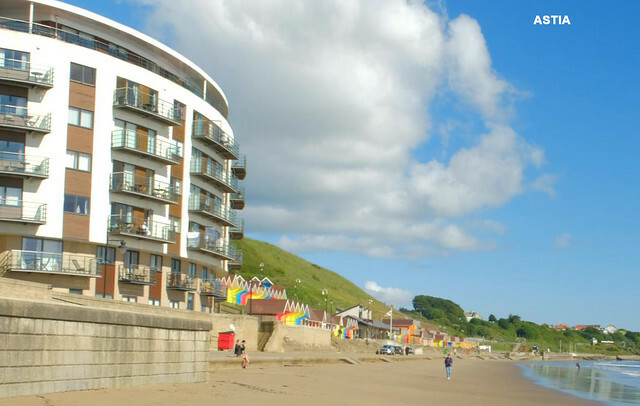 However, I had often thought that text description and even still photographs do not adequately illustrate some of the techniques and processes that I use to produce some of my creative projects - filming the work would be far more effective. 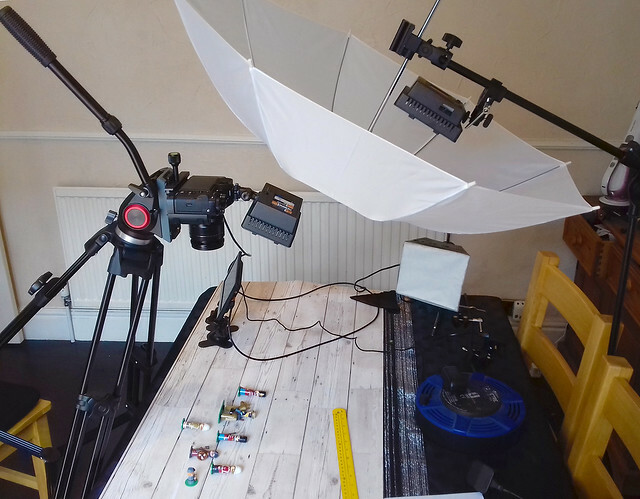 Funnily enough, I had already started to explore the idea of filming my small hobby work table on this blog in a post I simply entitled 'Videoing Tabletop Tutorials' back in March 2017. But, this was a very simple attempt to capture my workspace using my GoPro Hero 4 camera and actually created more questions than it answered about focusing, lighting, camera angles and the ability to do close-up shots. My conclusion at the time was that the GoPro was perhaps not the best camera for this purpose - being fixed focus with a minimum focus distance of about 30cm. I think I was going to try either my mobile phone camera or my Logitch webcam next, as they both have very responsive auto-focus systems which would be great for close-ups (but I didn't get round to it). 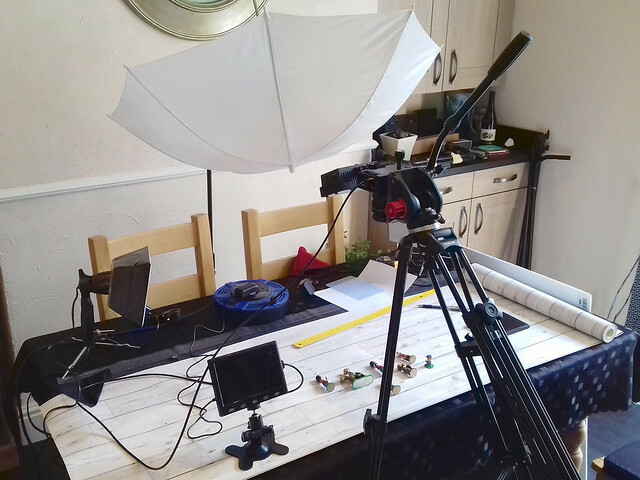 Obviously, the above experiment was very rudimentary to get me on my way towards finding a suitable solution to filming tabletop hobby activities. But, now I want to look more seriously into devising an effective means of recording craft and modelling work. for 'top-down' filming of tabletop subjects. 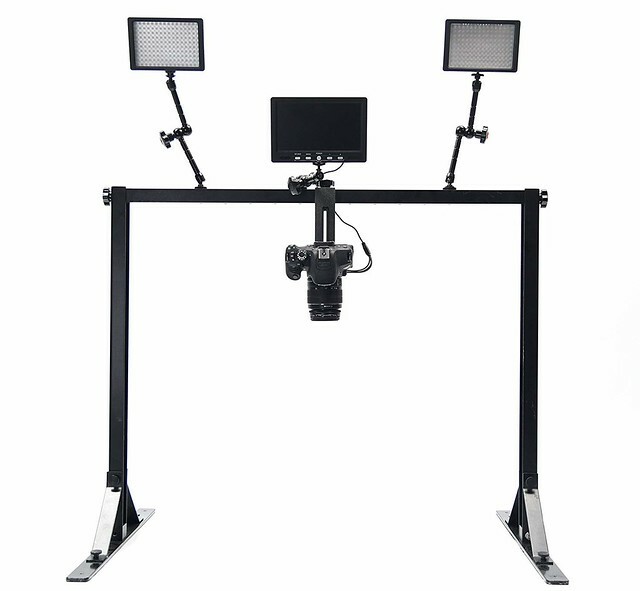 Now, there are alternative solutions used by videographers - including cranes and also using a downward facing mirror - to capture tabletop scenes, but all of these require space (preferably a small studio) or money...And I have neither. So, what I need is a more 'professional' approach but which comes with a budget price-tag and that will fit the constraints of my cramped workspace. Something that will sit on my workbench. 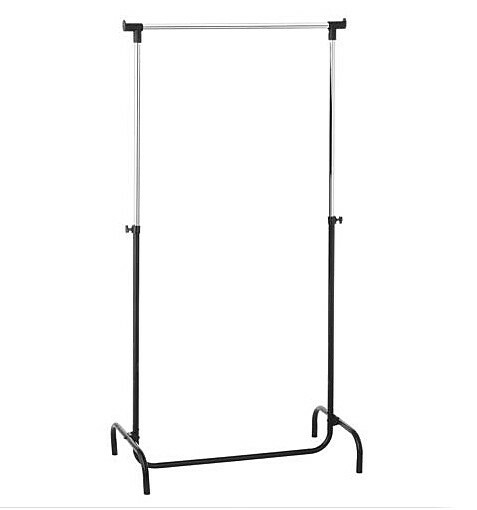 It's one of those clothes hanger rails, we've had one disassembled in storage for ages (in fact it was a bit rusty) and we were about to take it to the recycle dump...But I have an idea I could make a tabletop rig from it. In part 2 of this post I get to work modifying my clothes rail with the help of my trusty Dremel tool! This really opens up my moviemaking and offers me new challenges. Although I could film in 4K before the limitations of just having one battery meant some very short outings (which very soon became a bit of a pain). The prospect of some longer experiments and learning sessions is quite exciting. Ironically, while it's taken me quite a while to save up for these two extra Fuji batteries I had no sooner congratulated myself than I heard that Duracell has produced what are rumoured to be good quality alternatives to the Fuji NP-W126S shielded batteries at just £20 a piece! Ah, well...I wouldn't be happy buying these alternatives until I read first-hand reports about their performance anyway. Still...Typical! I'm trying to build up a momentum and get as much practice with my X-T2 as I can. I don't have a firm plan for a set project yet, but I need as much camera time as I can get and I need footage to practise editing so - at the moment - I just need to get out there and shoot anything. Aside from gaining familiarity with the camera I also want to practise some freehand shooting, filming without setting up a static tripod rig. Most of the filming I have done in the past has been of the fairly static interview format, so I haven't had a lot of experience filming hand-held. And if all else fails, there is software stabilisation. It was a bit of a dull, grey day so I probably over-compensated in my colour adjustments. But I'm still enjoying the novelty of playing with PowerDirectors settings. I'm not entirely happy with software stabilisation, occasionally it can be a bit glitchy and jerky when you add it to a sequence that includes a pan or tracking movement. So the moral of the story is, try and take as steady footage as you can so you don't have to add stabilisation. One other thing I noticed was how the wind affected my audio track. I hadn't thought it was that windy, so left off my Rode mic and it's windshield, trusting to the X-T2's integral microphone. 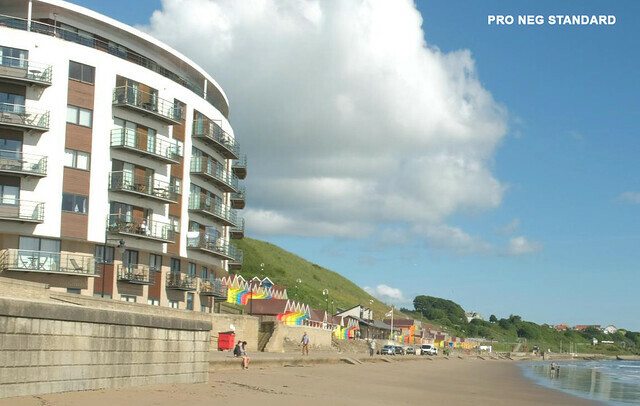 The wind buffeting was noticeable when I got my footage into the editing software, so I had to remove the soundtrack. From now on, if I'm doing any outside work, I'll fit the Rode mic and windshield by default. The position I find myself in at the moment is that I do not have an external 4K recorder (and cannot afford one), so I am limited to just recording vanilla unadulterated video or video treated with one of Fuji's integral Film Simulation modes (which can both be recorded onto an internal memory card). See also, B&H's 'An Introduction to Fujifilm’s Film Simulation Modes'. Although the above clip is principally aimed at stills photographers, these stylistic simulations are just as applicable to video recording. In fact, they take a lot off the shoulders of the videographer who likes to spend more time playing with his camera than they do in post fiddling about with colour grading (which is a bit dark art). Certainly, this is why I was attracted to the X-T2, I loved the look of some of the simulation modes and didn't (yet) want to caught up in the quagmire of tinkering for hours with software sliders. make the end results even more unique. OK, having laid out my reasons for wanting to use Fuji's Film Simulations (with the caveat that once I'm a bit better off and a bit more experienced I would like to try out F-LOG via an external recorder and then applying LUTs in post) which simulation do I think is best? Well, once again, this isn't quite straight forward as Fuji never intended a photographer to just use one of its film types, you use which film type is most suited to your subject matter. And this is how it is with their film simulations too. So, I tried out some experiments with the various types to see which suited my personal visual preferences - using some tips from other X-T2 videographers - and narrowed my initial favourite modes down to Classic Chrome, Pro Ned Standard and - as a wild card - Astia (which is a bit more saturated and pops the colours more). The differences are quite subtle but they are enough to have emotional relevance, creatively speaking. For example, I am drawn to Classic Chrome - it is slightly nostalgic in its colour reproduction reminiscent of Kodak's legendary Kodachrome (ironic that Fuji should reintroduce this film look). As expected, Pro Neg Standard came in as a close second, which isn't very surprising as I did my homework first before I narrowed my interest down to the three film simulations that I tested. The advantage that Pro Neg Std. has over Classic Chrome is that it appears to have just a little more dynamic range (there a little more information in the shadows and the highlights). This makes this simulation the closest - with a little tweaking of the camera settings - to a flat output suitable for further colour grading in an editor. the Highlights (-2), Shadows (-2) and Sharpness (-2). Finally, Astia is a bit of fun. 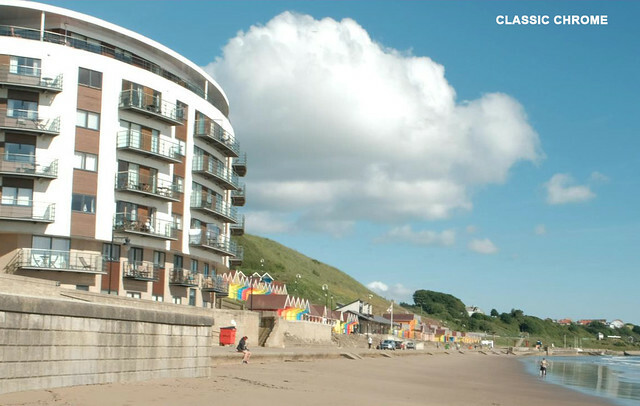 It's a bit too saturated for my tastes and as you can see from the above screen grab it's output is somewhat reminiscent of holiday postcards. I find it a little insincere and superficially 'pretty' (so we can knock that one off the list). Well, as much as I favour Classic Chrome, I won't be using it for everything. But it may well be my default go-to mode. It's a rather nice feature of the Fuji system that I have several film 'looks' I really like baked into the camera by default, rather than me having to make these simulations up myself via long sessions of colour grading or by trawling the internet for an elusive LUT that does a similar job. sort of a poor man's instant color grading, but the end results are pleasing enough. Something I've been asked to do for one of my hobbies is to video some of the methods, to be exact - how I do some of my scale model making. But, I've been putting this off as I've never been quite sure how best to video some tabletop work - a la Blue Peter - given that a lot of my models are quite small. Yes, it's all a bit thrown together, but this clip does give me some useful information. Camera - I'm using my fixed focus GoPro Hero 4 Black. 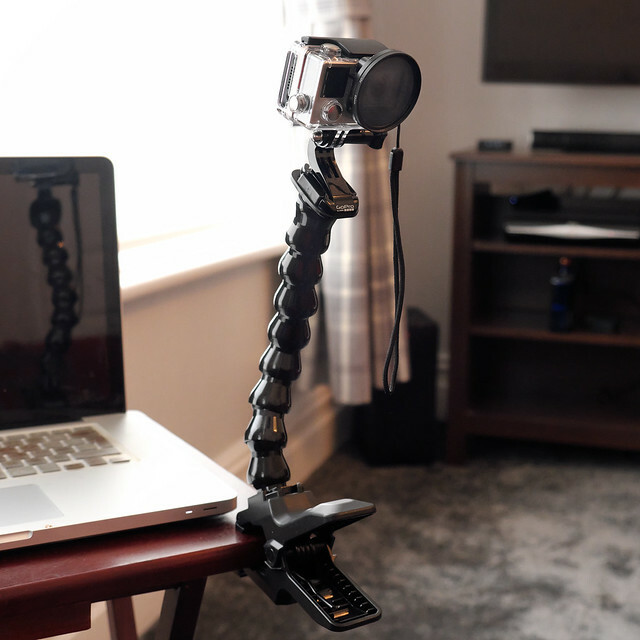 Stand - The GoPro is attached to a clamp with articulated 'gooseneck' arm (about a 30cm long). Lighting - Just one small LED desk lamp. Sound - Just the GoPro's internal mic (hence the hiss)! Not very high-tech. But you have to start somewhere. My goal was to find out how close the GoPro could focus - as it is a fixed focus camera - and to see if I could get it close enough so that the viewer could make out the small model parts that I work with. Also, I wanted to experiment with the best angle and position for a single camera without it getting in the way of what I am doing. I thought the 3/4 view, looking down on my work area, would be best as I wouldn't block the view of the objects being worked on but this does mean I occasionally have to turn the objects if I want the viewer to get a clear view of the work. 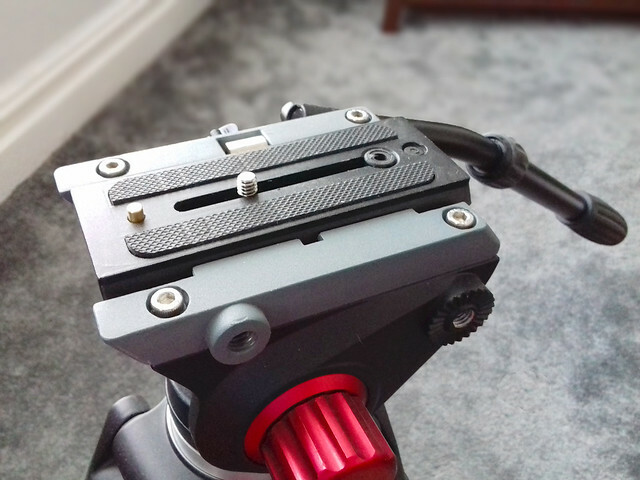 GoPro 4 mounted on articulated 'Gooseneck' clamp. At this point, I am not bothered about sound as I am undecided whether I shall add a voice over narrative in post. It might be easier that way so I can cut down mistakes and follow a script. Well, it's not horrendous! The good thing about the GoPro 4 is I have several filming resolutions to choose from (including 4K if I want). The major downside is the fixed focus, the GoPro's minimum focus range is about a foot (30cm) and anything closer than that is blurry. This is a bit of a pain as I may want closer shots to show some of the small components and assemblies (perhaps as close as 10-15cm). But, for a wider overview of my work area, the GoPro is adequate. The other main concern is - as always with video - the lighting. I am going to have to set up something a bit more like a mini-studio, with at least two lamps giving even illumination from either side of the bench to eliminate any shadows. 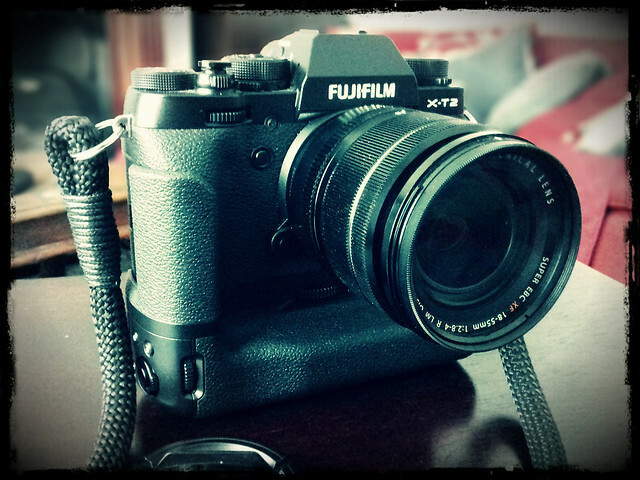 To focus in closer, I have the option of either using my main video camera - the Fuji X-T2 - or my little Logitech Web Cam. 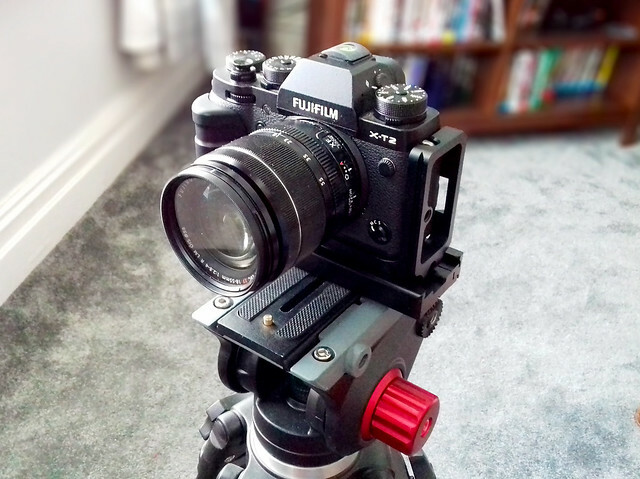 The Fuji might be a little overcomplicated, although the quality of footage would be superb, and it seems like a bit of a sledgehammer to crack a nut sort of solution. The Logitech web camera seems a little more flexible and suited as it has a very good auto-focus system - that can focus very close to the lens - and wouldn't take a lot of space on my desk. Additionally, I would have the ability to monitor the footage via a computer screen, which would help to make sure I have small objects in focus. I think my next test will be with the Logitech (and let's see if we can improve the lighting).